Already a big hit when it was introduced about a year ago, the Andes Drystar Jacket is getting an upgrade in the form of the Alpinestars Andes Drystar v2 Jacket. All of the features we loved about the original Andes are still present, particularly the very good Drystar membrane which is both waterproof and breathable. 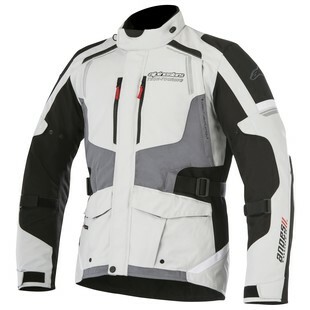 What Alpinestars have added that we would have loved to see in the original, however, is direct venting to the body through the front vents to make the jacket much more usable in hot weather, better stretch panels as well as forearm adjustment ability around the arms, and a slightly shorter and more comfortable collar. Combine all this with the still-present pockets for Nucleon chest and back protectors and you have yourself the best and safest entry-level ADV jacket out there right now. If you are someone who is looking for an all-weather jacket that performs way better than its price tag may suggest, the Alpinestars Andes v2 Jacket is worth a long look.